Epiphone's Zakk Wylde Bullseye Les Paul Custom has been the choice of shredders for years. 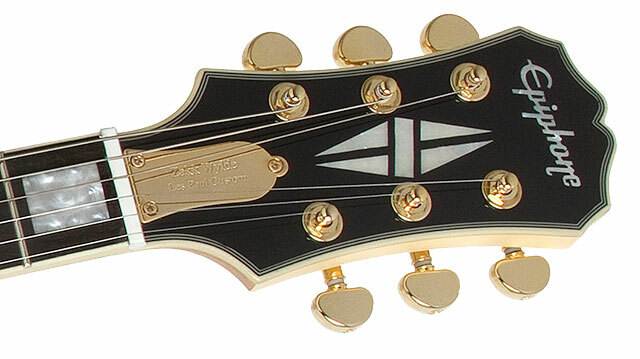 And now, Epiphone and Zakk step it up a notch with the addition of Zakk Wylde EMG-81/85 active humbucker pickups. Powered by a 9-volt battery, these active pickups set the standard for high-output, hard rock/metal tone. But that's not all. Another upgrade on the Bullseye includes a premium ultra-smooth rosewood fingerboard. So plug one in and crank it up! As with all Epiphones, the Zakk Wylde Custom Plus Bullseye features our Limited Lifetime Warranty backed by world famous 24/7/365 Gibson Customer Service. Same Great Features and Look! Zakk adds his signature "twist" to the classic Les Paul Custom with a solid, unchambered mahogany body with a carved top. For extra bite, Zakk adds a Hard Maple neck (as opposed to the more traditional mahogany neck). 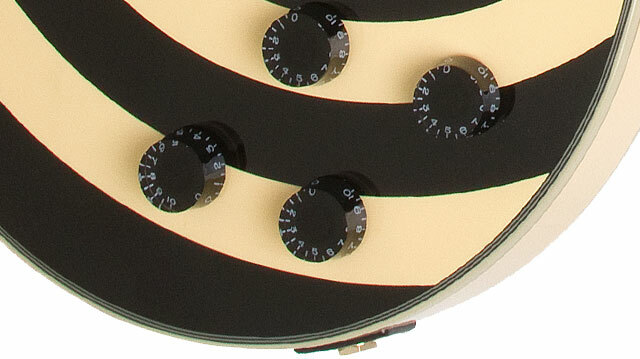 This neck has an ultra-smooth and fast natural satin finish that allows Zakk (and you!) to solo effortlessly. And of course, the neck is glued into the body using TiteBond™ glue with a traditional mortise and tenon neck joint for rock solid feel, sustain, and tone. The Zakk Wylde Bullseye Les Paul Custom features EMG active humbucker pickups, specially wound to Zakk's specifications to recreate his hard-edged trademark sound. 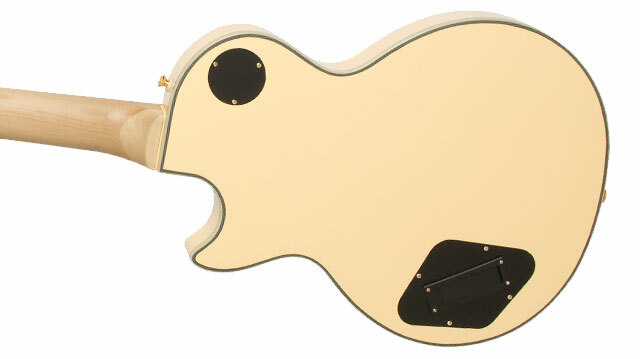 The neck pickup features a Zakk Wylde EMG-81 while the bridge pickup is a Zakk Wylde EMG-85. Both feature Alnico Magnets. Other premium features include Epiphone's LockTone™ Tune-o-matic/StopBar combination for increased sustain and easy string changes, 16:1 ratio Grover® machine heads, a 7-layer bound body, a 5-layer bound headstock, and a comfortable single-layer bound fingerboard. Plus, there's gold hardware and Zakk's signature graphics!